Welcome to the Facebook Marketing Strategy series in which we share the best practices for how to use Facebook for business! This is part 7 of the series. It’s understandable. Just because you have 100,000 followers, that doesn’t mean 100,000 people will see each of your posts. In fact, organic reached dropped by 52% for publishers’ Pages in 2016. Facebook also has a history of releasing frequent and unpredictable algorithm changes that can cause traffic to drop overnight. But here’s the good news: The algorithm doesn’t have to be your enemy. In fact, it can be a valuable tool for creating content that appeals to readers’ interests. Just remember that the algorithm is used to float relevant and engaging content to the top of people’s News Feeds. As long as publishers know what their audiences want—and can keep an eye on what Facebook favors—they can use the algorithm to their advantage. Beyond just Likes, comments, and shares, Facebook’s algorithm accounts for time spent on posts—whether through Instant Articles or the mobile web browser. So even if someone doesn’t Like your story, they still might spend a few minutes reading it. And this tells Facebook that the piece was meaningful to them. As such, if publishers aren’t measuring time spent, they need to start. For example, The Financial Times and The Economist pioneered this strategy by selling ads based on time spent instead of page views. After checking time spent on their content, publishers can identify the most engaging articles and post them on Facebook. These pieces will then have a greater chance of being favored by the algorithm. Facebook’s algorithm favors live video over on-demand video. People also spend 3 times longer watching live video than a video that’s no longer live. That’s why there’s never been a better time for publishers to try using Facebook Live. For instance, publishers can use Facebook Live to host behind-the-scenes tours of their newsrooms, Q&A sessions with readers, and breaking news coverage. In fact, select publishers have already had success with this format. BuzzFeed drove over 800,000 real-time views during its exploding watermelon experiment. The Sun‘s fantasy football site, Dream Team, launched a Facebook Live chat asking fans to help them build the team. And NPR invited viewers into its newsroom on Mega Tuesday, garnering over 250,000 views. As these publishers prove, Facebook Live isn’t just for product launches and celebrity interviews. Publications can also use this format to interact with their audiences in unique and exciting ways. The top item on Facebook’s list of News Feed values is “Family and friends come first.” It states, “To help make sure you don’t miss the friends and family posts you are likely to care about, we put those posts toward the top of your News Feed.” Evidently, if you want your posts to be seen, you need to make sure people share them with their networks. We’ve already outlined the best ways to generate Facebook shares, including covering trending topics and publishing evergreen content. The most important tip, however, is to make facebook sharing easier for your readers. With ShareThis’ share buttons, for instance, you can customize social buttons to help readers share your content right from your article page. Use our visual design tool to customize your buttons and plant them on your site in minutes. Above all else, Facebook’s algorithm is designed to show people more of the stuff they like. That’s why it’s important to know what your audience wants and how to give it to them. 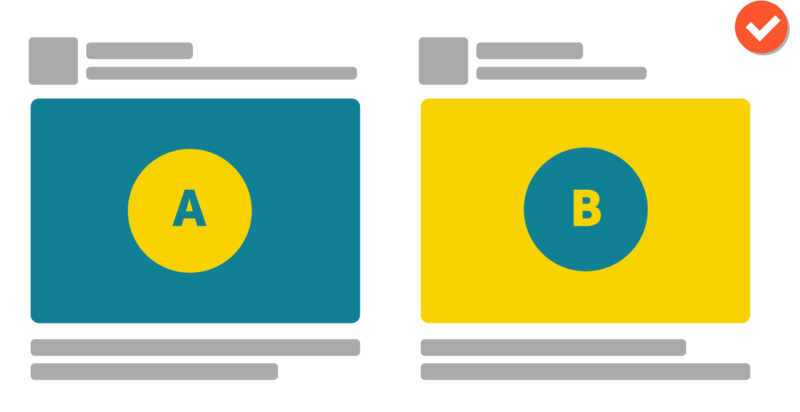 To truly understand readers’ interests and behaviors, publishers need to A/B test their content. With ShareThis’ Social A/B tool, for instance, you can easily test different headlines, images, and copy against your audience. Just choose your piece, edit your variations, and launch the test. Once a winner is determined, post it to your page and see up to 75% lift in engagement. Facebook’s algorithm isn’t the enemy—irrelevant content is. As long as your posts appeal to readers’ interests and keep them engaged, you’ll be able to generate Facebook shares and grow your readership.